So here I am back in Singapore with a chance to brush up my knowledge of the East. The papers here follow Chinese affairs closely of course, and I've been reading up on the new Politburo. Now the Communist Party of China works in mysterious ways, but it has come up with corker: the new Vice President in charge of Energy is this chap, Zhang Dejiang. And - wait for it - he studied economics at the Kim Il Sung University in North Korea. And we think we've got it bad on energy policy ? Actually, I always wondered about Chris Huhne ... Good luck to the Chinese. They may see him as a way of re-introducing communism. The problem with Huhne et al is that they are aspiring Lefties. Their policies haven't yet failed. We have to take them seriously. Greenism is communism by the back door. It is the limitation of consumption and aspiration by means of energy tax and size of wheelie bin. People have reverted to using energy efficient cars which has lowered the sale of fuel and the take excise discs. The moot the idea of toll roads to make up for the loss in revenue. Interesting contrast with the west, in the past most Chinese leaders were trained as engineers or scientists. Perhaps explains why they were big on infrastructure development. Wonder when Beijing University will start offering PPP? It would be interesting to do a similar run-down for Indian leaders. Could this explain why Indian infrastructure is generally pretty poor. In court cases 50% of lawyers are wrong 100% of the time. Then the buggers turn their 'talents' to running the country. "That new Chinese Politburo" - self appointed like the EU/EZ politburo. Electro-Kevin: "The problem with Huhne .. "
is that he hasn't yet be slung in prison. Ah.... Singapore. Wonderful place. Rang Mahal in the Pan-Pacific hotel has the best Indian food I've ever eaten. Mmm. It could have been much worse, he might have gone to study Jurisprudence at St. John's College, Oxford. which I have duly done this week - and am most grateful for your recommendation ! Jeez... I'd forgotten about that. Glad to see I'm consistent! 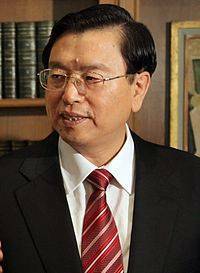 it is a very nice idea that can make us feel so happy in the way that can make us now more informations and more "" Now the Communist Party of China works in mysterious ways, but it has come up with corker: the new Vice President in charge of Energy is this chap, Zhang Dejiang.